While Nigerians were celebrating Christmas in their homes, a housewife, Christiana Odo, allegedly killed her husband, Rominus, for failing to provide money for the family during the celebration. It was learnt that the incident happened at the couple’s home on London Barber Street, Majidun, in the Ikorodu area of Lagos State. It was also learnt that Christiana, 37, had asked the husband for money for food to celebrate Christmas, but the husband had said he didn’t have any money. This was said to have led to a quarrel between the couple, which degenerated into a fight. 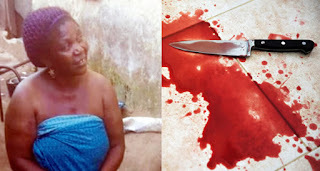 Our correspondent was told that in the ensuing scuffle, Christiana, a mother of three, picked a kitchen knife, with which she stabbed the husband to death. A police source said the incident happened around 5.20pm, adding that it threw the community into confusion. He said, “The woman asked the man for money for food, but the man turned her down, saying he didn’t have money. This led to an argument and the man hit her. 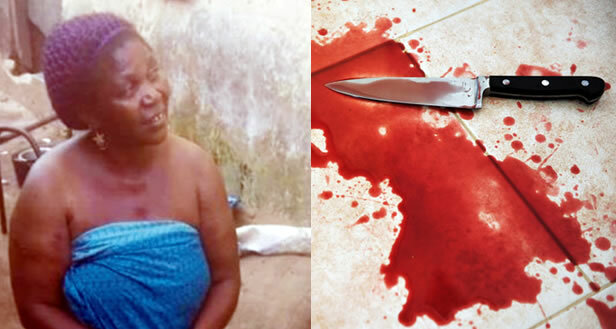 They fought and the woman, in anger, went into the kitchen and got a knife with which she stabbed him to death. The landlord was said to have reported the case to policemen from the Owode Onirin division, who arrested the suspect. The victim’s corpse was reportedly deposited in the Ikorodu General Hospital’s morgue. The Police Public Relations Officer, SP Dolapo Badmos, confirmed the incident, saying the case had been transferred to the State Criminal Investigation and Intelligence Department, Yaba. She said, “It was a resident that came to report at the station that the man fought with his wife. In the process, the woman stabbed him to death. The police visited and photographed the scene.